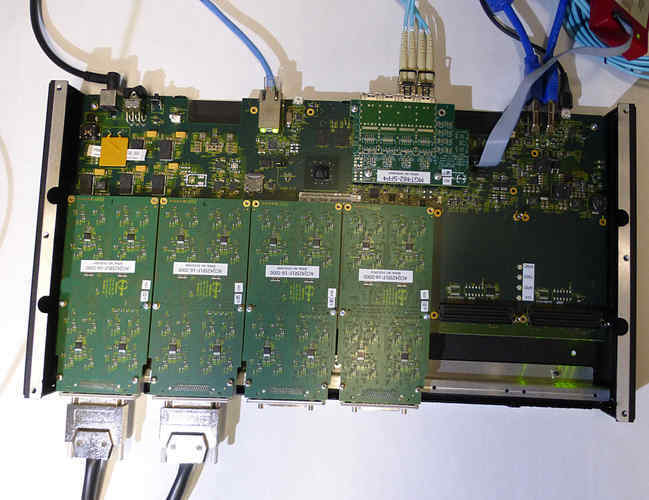 D-TACQ Solutions: Stream simultaneous DAQ data on fiber-optic link. Stream simultaneous DAQ data on fiber-optic link. Networked digitizers usually run a full rate transient capture to DRAM, or they can stream data on Ethernet up to 30MB/s. 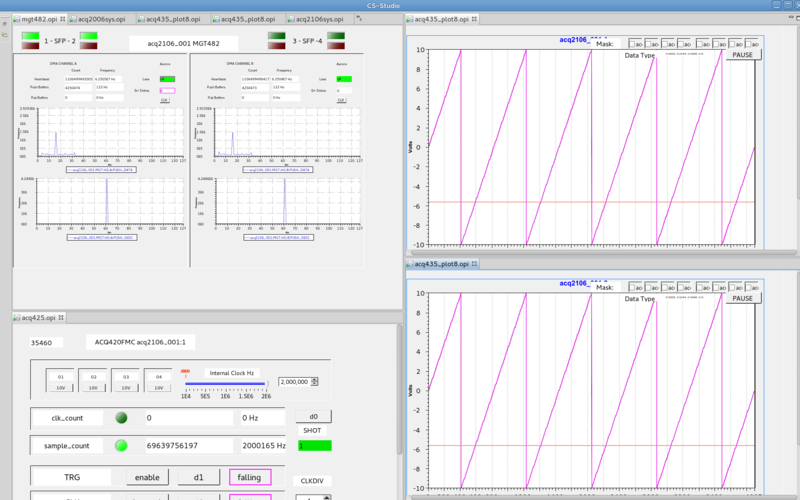 To capture data at higher rates over long duration, stream the data at up to 500MBytes/second on fiber optic links. System shown has an analog payload of 64 channels at 2MSPS/channel, extremely high quality 16 bit DAQ. Data is streamed on 2 fiber-optic links to two host computers for archive. There's no limit on the length of the data set, other than perhaps storage capacity on the host computer. Data transfer is handled by an embedded hardware DMA engine. 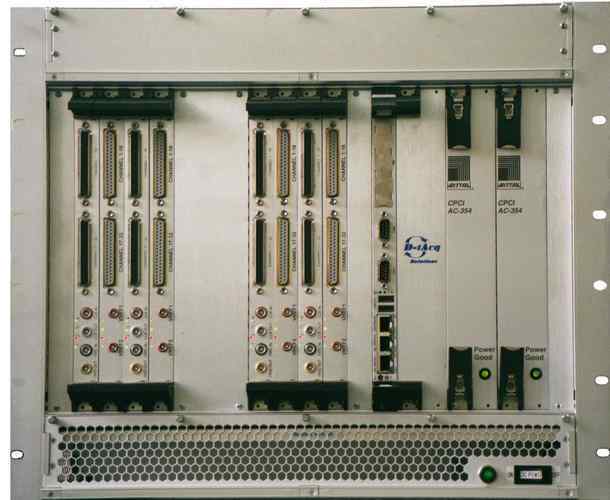 ACQ2106 includes a highly functional embedded cpu system; this receives a subset of the data, and enables a responsive OPI allowing control, monitoring and on the fly data viewing with no overhead on the host computer. SHARE : Duplicate copies of the data is sent to each host. D-TACQ manufactures a range of off-the-shelf high performance data acquisition hardware modules and systems. The systems are highly programmable and can be adapted to meet many requirements.